Connecting with Others | Barranquilla or Bust! Before you make your move, connect. Others are out there, sharing and ready to help make your transition easier. Already made your move? Be a love, and help others out. There’s no substitute for timely word-of-mouth! The Expat Exchange – A great source for general and country-specific tips on everything from moving companies and culture shock to visas and work permits, banking in your new locale, and more. Also a great way to connect with other transplants who live in your new locale. You can sign up to receive updates by email. If you’re preparing for a move or recently arrived, reading through this blog regularly may give you some useful information and also allow you to avoid repeating mistakes that others have made. 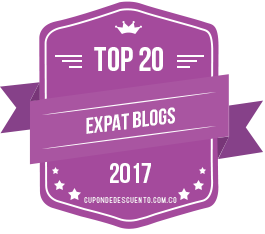 The Expat-Blog – Another good place to share your experiences and potentially connect with other expats who live in your new city. I’ve met great friends in Barranquilla through this site. Expats Blog: An Experience Shared – Looking for first-hand accounts by other expats? 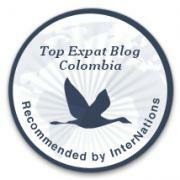 Expat bloggers’ sites are sorted by country and listed here. Get in the know by hearing directly from those on the ground! InterNations – This site does not cover all major communities worldwide, but if you live in one of the covered areas, it seems to be a useful way to meet people in your area live and in person through organized activities. I’m sure the site will grow to include more locales. Have any great resources that you’d like to share? Please feel free to use the “Comments” section below, or contact me at courtenay@courtenaystrickland.com or 305-767-7324. We’ll all thank you for it!